My name is Jacopo, I am Italian, 46 years old and I have lived in the UK for more than 20 years. I am self-employed, single, non smoker, I have a clean driving license, don't have children and don't have any pets. I am honest, reliable and dedicated to my responsibilities. I love helping people and tend to be a perfectionist. I've been housesitting for 3 years and had some great experiences and met some fantastic people, some of them I can call friends now. I am a professional photographer, specialising in music, portraits and reportage. I studied photography and web design at the London College of Communication and my work has been published in a number of magazines and newspapers, including The Economist, The Guardian and Time Out. My clients include Channel 4, Reuters, Arts Council England, the Royal Society of Medicine and the Royal Society of Chemistry. I am also an entrepreneur and in 2008 I set up a photo/film studio rental business in Greenwich (London), which was profitable and I sold it in 2010. This gave me the opportunity to learn/improve all aspects of customer service, as well as online marketing, search engine optimisation, setting up/managing online booking systems, and web design using Wordpress. I am now working on a new internet business. I am available for long, medium or short term assignments. I can house sit in large cities (including London), as well as in more remote places near nature in the UK and abroad. If you would like any further information, please ask and I can send you a link to my website. I am also happy to speak on the phone or arrange a video call on Skype. I have traveled to different countries for short periods of time, but always had this dream of being completely mobile and traveling full time and I'm finally doing it. House sitting is an ideal way to stay in a new place, while at the same time helping others who need someone reliable to look after their animals and maintain a presence at their property. I have been living on my own since I was 18 and I am used to taking care of the home and keeping it clean. - A two months assignment on a large villa and hospitality business with swimming pool, a very large garden and orange orchard, one large dog, two cats and some farm animals in Andalucia for an Australian/Dutch couple. - A three weeks assignment for a an English couple in Andalucia, looking after 9 cats and 2 dogs. 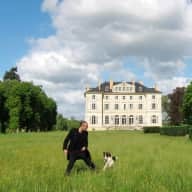 - A one week assignment looking after an 18th Century château, their large estate, one cat and one dog in Pays de la Loire (France) for a Franco/American family. - A one week assignment for an English couple looking after their flat and their 2 cats in central Paris. 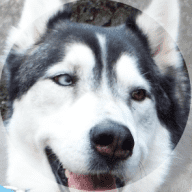 - A 5 weeks housesit in Royal Tunbridge Wells (UK), looking after a large dog and a cottage. - A 10 week assignment for a British/South African couple, looking after a Grade II listed Manor house, and a converted barn, with 3 adult dogs and two puppies. I am a very tidy person and love creating harmony in the space that surrounds me. I love animals, enjoy taking care of plants, and would love to look after your house, or business property, as if it was my own. We are a Franco-American family living in our 18th Century château in Pays de la Loire. The property is an historical monument and our estate includes extensive grounds, woods, an orangerie, and a large rose garden. Three years ago Jacopo stayed with us for two months to help with web design, web marketing, photography and SEO for our french cookery courses. Since then he has also housesitted for us a few times when we needed to go to Paris and he managed things very well. He is a very creative person who has a great work ethic, and it was always a pleasure to collaborate with him. He is organised, honest, extremely conscientious and we can highly recommend him to any future housesitting clients.